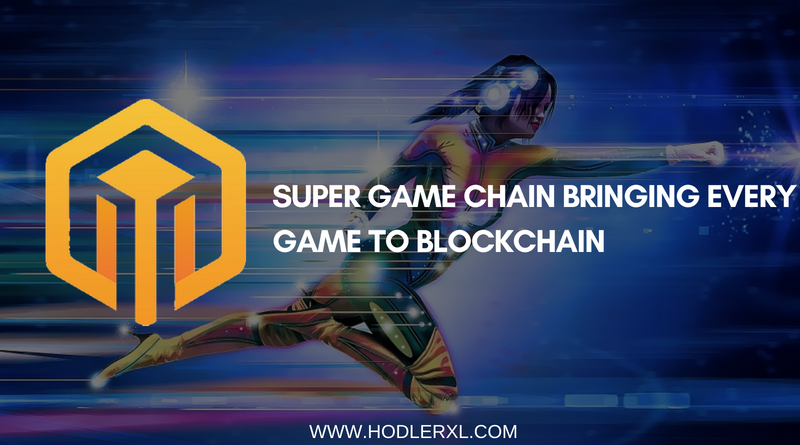 Super Game Chain is the next frontier in the gaming industry that is based on blockchain technology. The mission of SGC is to harness the blockchain technology and ride this wave to rebuild this organic, healthy, mutually beneficial, co-existential ecosystem. Super Game Chain permits developers to raise funds to develop, launch and market their games. The players can contribute in either way and therefore they will be financially rewarded with SGCC tokens. A reliable, safe and straightforward way for creators of games to raise money and market their games to a more targeted audience, while solving the issues with fraudulent game payments. Currency system across all games that are on the ecosystem. It is a decentralized, protected real identity profile for each gamer. Decentralized user data encryption and storage. Layered access for user data. SGCC wallet payment and trade system. SGChain is dedicated to opening a source code on its platform, therefore, making all core data open and transparent. In comparison to the conventional server- end data handling it is expected that the SGChain developers will review game codes to ensure there is transparency in game codes. The Super Game Chain wallet consists of two main parts. When the payment is less than the US $200 in value the gamer’s digital currency is saved in the Super Game Chain hot wallet. Otherwise, the cold wallet password mechanism will be activated and will require additional user authorization. This is aimed at protecting the user’s assets. Super Game Chain uses the advanced and secure Hypertext Transfer Protocol (HTTP) to encrypt and transmit information using secure channels. It performs functions such as; authentication, information encryption, and integrity verification to reduce the risk of eavesdropping, tampering, and hijacking. Super Game Chain supports a variety of platforms such as web, mobile, PC, AR, and VR. Initial launching will be in English then followed by Chinese, Arabic, Spanish, French, Russian, Korean, Japanese and other popular languages to include everyone on board. Super Game Chain will use SGC as the base currency. The platform will initially support SGC token after Initial Coin Offering. Later it will incorporate for other cryptocurrencies such as BTC, LTC, ETH, BCH, ETS, XRP, and EOS. Gamers can exchange these for SGC in the SGChain wallet. Due to regulations, SGChain does not facilitate the exchange of cryptocurrencies. Super Game Chain is aimed at enabling developers to showcase their game projects in conception stage and facilitate reviewing and investing by the targeted gamers. Also, it will provide a decentralized, protected real identity profile for each user. This identity is highly guarded in that only persons with proper clearance can access the relevant information. Moreover, users are expected to pay a minimum fee to maintain their profile. SGChain will develop a profile for each user. There will be an avatar representation for each player which includes the personalized look and customizable outfits. Players also send gifts or trade with one another. Consequently, the players can organize their events and only players who meet the set requirements can join. SGChain is set to enable mining mechanism after users purchase tokens to play the games and exchange in the games. A small fee is to be charged to support the continuing development, maintenance and operation. Also, the platform is to introduce the hot Room Card model and sell room cards. Tokens will enable the players to open virtual rooms where they can organize games. The very active users will earn 10% return on the tokens spent. The developers who create high-quality games on the platform will be rewarded with tokens. Referrer and Room Host: When a user becomes a highly active user his or her referrer will be rewarded with tokens. The users who help the developer with game ICO will be rewarded with tokens. Super Game Chain is expected to launch a mechanism for introducing other tokens to the platform. 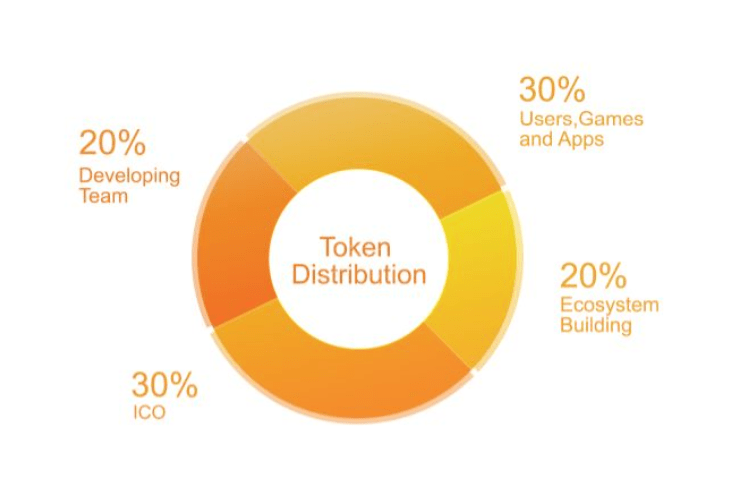 SGChain will value the token based on platform’s assessment, user polls, and user assessment. The security of the user’s token assets will be the first and foremost precondition for the introduction of any new token. SGChain will issue a total of 20 billion SGChain Token in line with theERC20 standard then switch to SGChain after SGC main chain on the line, of which 30% or 60 billion tokens for this private placement and public offering. The creators of this platform are optimistic about the platform they have developed, and they believe soon it will be the frontier in the gaming ecosystem. The development team consists of top game platform experts, blockchain experts, security experts, and AI experts. The team has acquired its experience from a rich and diverse background of technology and entertainment companies from all around the globe, some of which include: Tenecent, EA, Facebook, Ubisoft, Gameloft, Disney, Sega, Interactive, and Netflix. Most of the team members have had the opportunity to operate some billions user level games and therefore have vast experience in platform operations to ensure the safety, security, and stable operation on the platform. 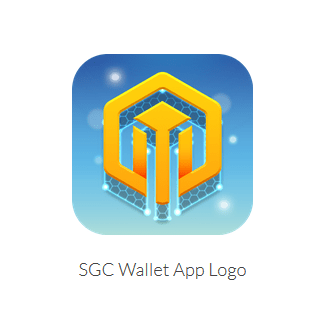 As a public chain, any 3rd party developer can publish their game on the SGC chain and accept the approval mechanism of SGC Developer Alliance that is based on consensus mechanism which ensures the healthy development of the entire game platform.